Regular hearing tests will help to ensure that you aren’t suffering from any hearing loss. 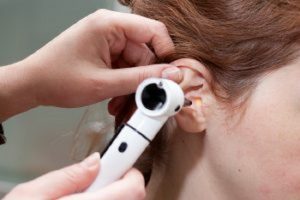 We typically go out of our way to make sure we make it to our annual physicals, dentist appointments, and eye exams, but what about hearing tests? This is something that a lot of people overlook or deem as unnecessary. However, regular hearing tests are important in ensuring that you are not suffering from any hearing loss. Here are the best times to get your hearing tests done. When babies are born in the United States, it is actually required by law that they be given a newborn hearing screening. One to three out of every 1,000 babies will suffer from some sort of hearing loss. The earlier doctors find a hearing deficit, the sooner they can begin treatment and resolve the problem. A hearing impairment in a baby can interfere with their ability to interact with people and learn language. It is important to get hearing tests throughout your childhood because this is when you are growing and changing the most. Sometimes, people may think that a child has a learning disability when they are actually suffering from a hearing impairment. A child suffering from hearing loss won’t be able to learn at the same pace as everyone else. This stage of life is when we are most prone to suffering from noise-induced hearing loss. WIth loud music playing through your headphones, live concerts, and loud parties, it is easy to suffer from hearing loss and not even realize it because it could occur gradually. Getting hearing tests done will ensure that no damage is being done. Unfortunately, as we get older, we are more susceptible to hearing loss just because of age alone. About one in three adults between 65 and 74 has suffered some amount of hearing loss. If the problem isn’t identified and corrected, it can cause depression, isolation, and even dementia in older adults. It is recommended that older people get their hearing tested more often than younger people. This entry was posted on Thursday, April 12th, 2018 at 12:06 pm. Both comments and pings are currently closed.